Summer should be a happy time for kids, but when they get hot and bothered, stress levels for them and parents can rise. 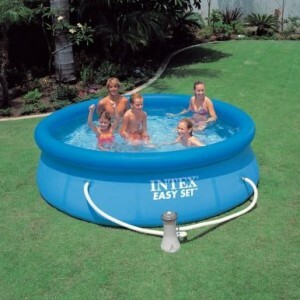 My advice is to get an Inflatable Garden pool, like this one I got on amazon uk. 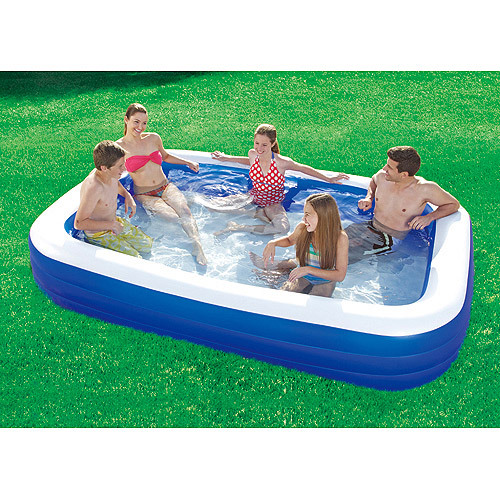 The only hard thing is to drain the pool. LOL, watch this.. The idea of camping is fun, but the practicalities of assembling a tent is far less so. Insert post A into hole B, zip sheet C and D onto flysheet E. Then repeat, a number of times until it looks about right. And then insert half a hundred pegs to keep the groundsheet attached to the earth. Not simple or fun. The Moontent however simplifies the whole process and restores some of the fun. Take the Moontent out of it’s travel bag and throw it at the ground. Then watch in amazement as the Moontent pops up into a fully assembled tent. Peg the corners of the tent down and your portable house is ready to go. The Moontent is constructed of lightweight material which offers protection from the sun’s rays (officially it boasts a Sun Protection Factor (SPF) of 50) making it an ideal shelter for fishing trips and picnics. The fabric is also weather proof, keeping you and your luggage snug and dry if it rains, perfect for festivals or Summer holidays. And if you are wondering why it is called the “Moontent”, the tent features a removable “lid” allowing you to see out the top, and view the stars from the comfort of your sleeping bag. The Moontent is simple to assemble just like my inflatable garden swimming pool, lightweight and available in orange or orange. When you are off on holiday or at a festival, the last thing you want to do is waste valuable relaxation time assembling a tent. The Moontent is the perfect time saving shelter, allowing you to focus on your holiday and not your accommodation.